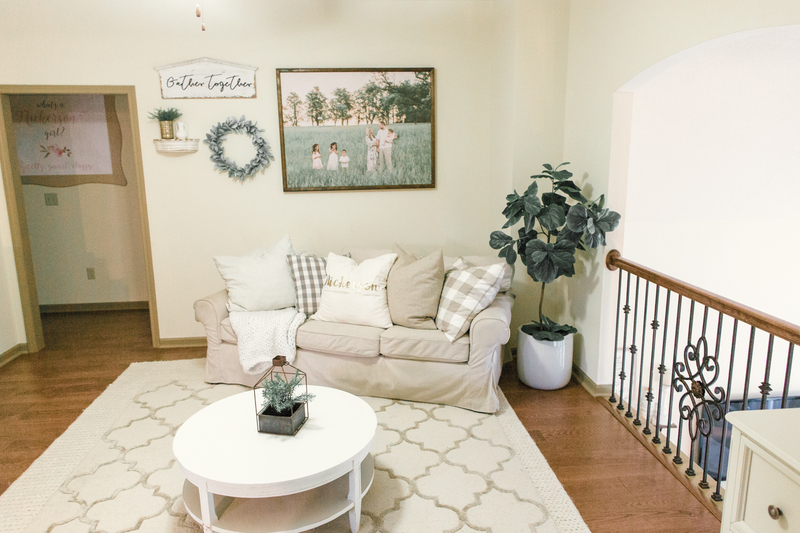 For the holidays, I wanted to dress up our wall with our family photos! As a family photographer, I do invest in my own family’s portraits every year. However, I didn’t want them just to remain on my hard drive. I wanted to show them off, especially when family and friends come over. 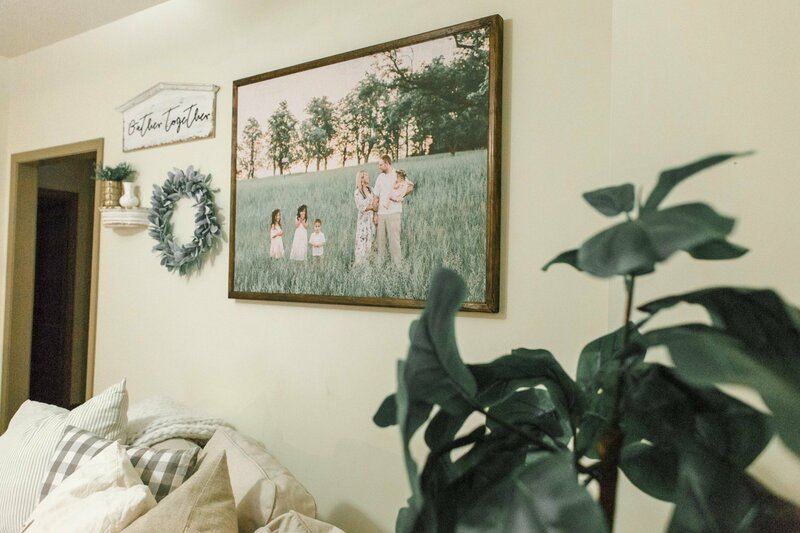 In our newly renovated loft room upstairs, I had a space for a giant picture of our family that I wanted to decorate around with modern farmhouse style decor. I purchased the poster print at Office Depot. I needed a custom size printed and they were able to turn it around quickly and at a great price. 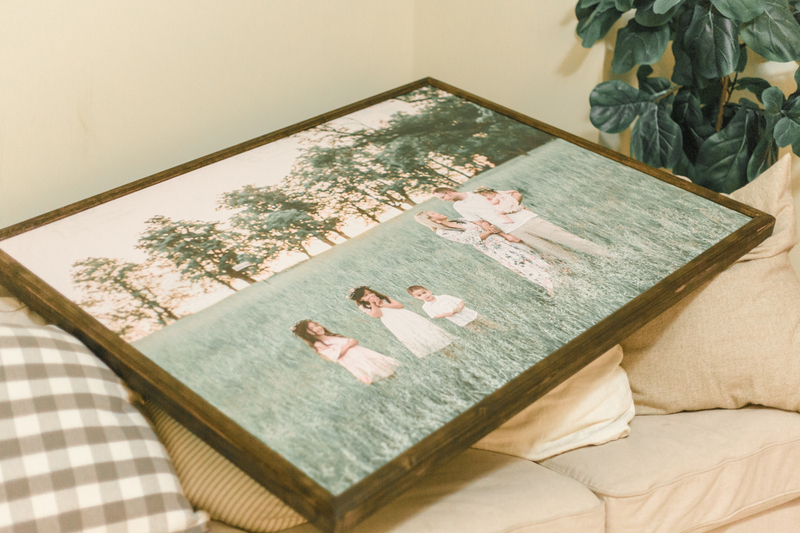 You can prep the picture at home using Office Depot’s Workonomy™ Print and Copy services on the website and you can then pick it up at your local Office Depot or OfficeMax store while mailing out your last minute holiday gifts! Office Depot is a great place for all your holiday gifting and mailing needs. You can get custom photo books, creative prints, custom printables, holiday photo cards and more printed for purchase online or in-store. Figure out where you want the photo to be and measure that distance. Typically, images have a 3:4 ratio, so that’s what I would suggest. However, since this is a custom wall piece, it can be whatever size you need it to be. 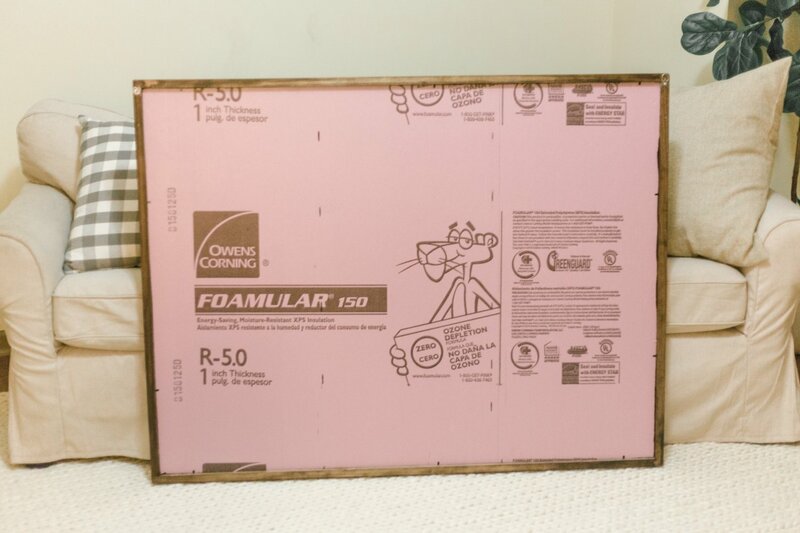 Also, get the measurement for your insulation foam as well as your trim. Go to your local hardware store to purchase the insulation polystyrene foam and the trim for your photo. This will be the backing that will be used for mounting the portrait. The trim will help cover the side of the insulation. Wrap the trim around the insulation board, use the wood glue or nail and hammer to put together your trim. 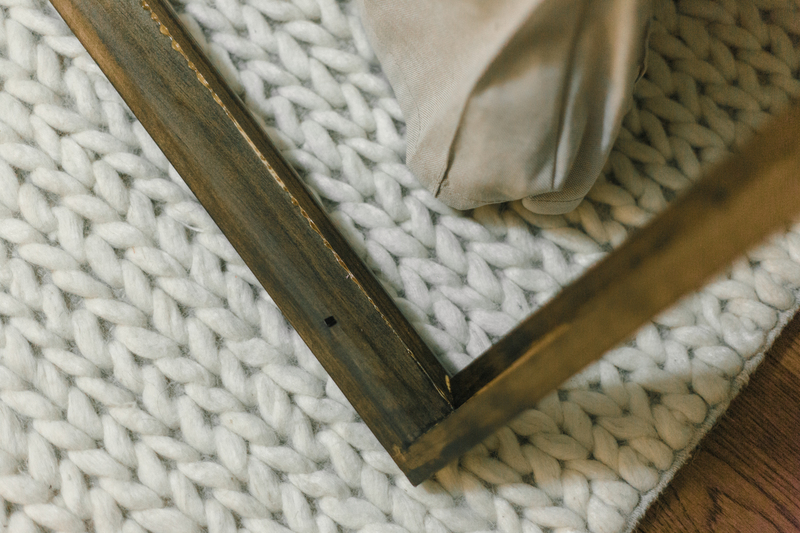 Paint and stain the frame to what you want it to be. After the paint dries, cut the insulation out to the size and put it in the frame to ensure it fits. Next, it’s time to get your print ready. I recommend printing at Office Depot because they can print just about anything in any size! If you don’t see the size you want, just go into the store with the image on your jump drive and ask for the size you need. With the holidays rolling around, you can also bring in any of your prints for your holiday cards to get them printed at Office Depot too! 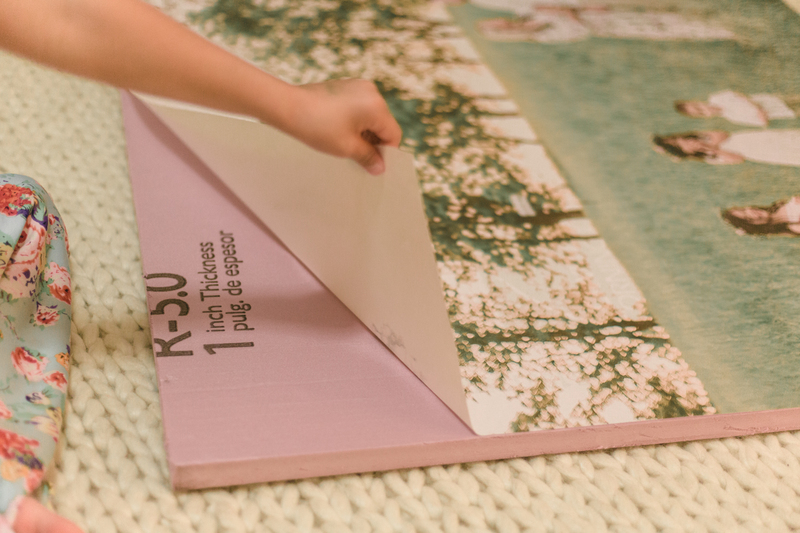 Once you get your print, carefully lay it over the precut insulation board. Ensure that the print is printed to size. When you true it up to size, remove the print. Take the polystyrene foam in a well ventilated area and spray the adhesive. Next, quickly and carefully add the print on top. Next, add in your frame. 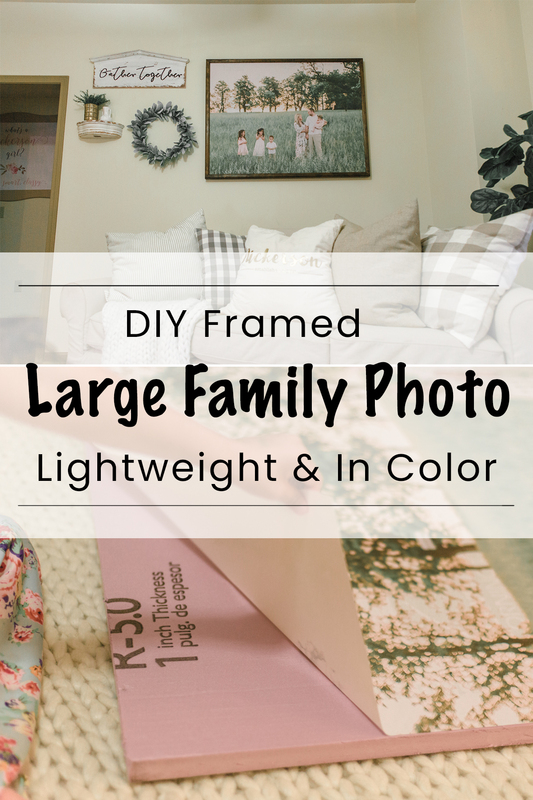 Use picture wire or hooks to hang it on the wall for all to see! I absolutely love having our family photo hanging up in our loft area! 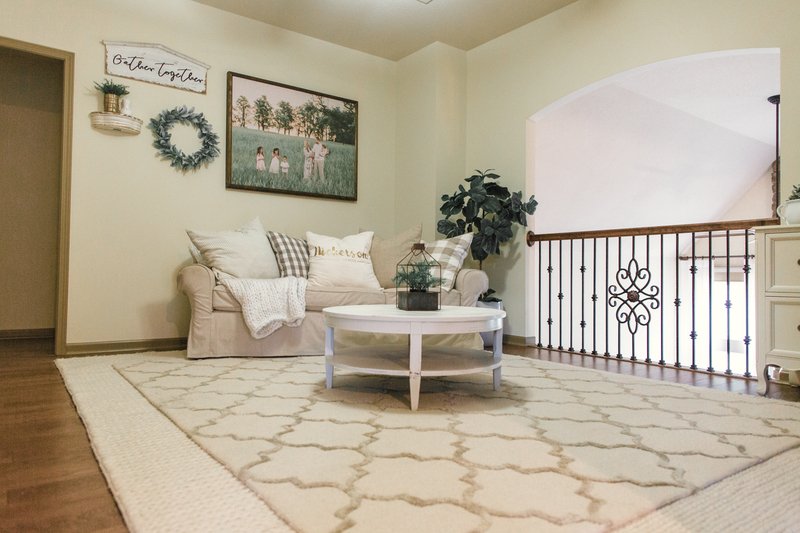 It makes the room more inviting and tells our story through pictures as we have guests over. The insulation polystyrene foam makes it easier on the walls and braces by making the piece lightweight. Office Depot makes it super easy to get our prints done by ordering online and picking it up right in-store. With the holidays right around the corner, they are more than happy to help you with all your printing and mailing needs! 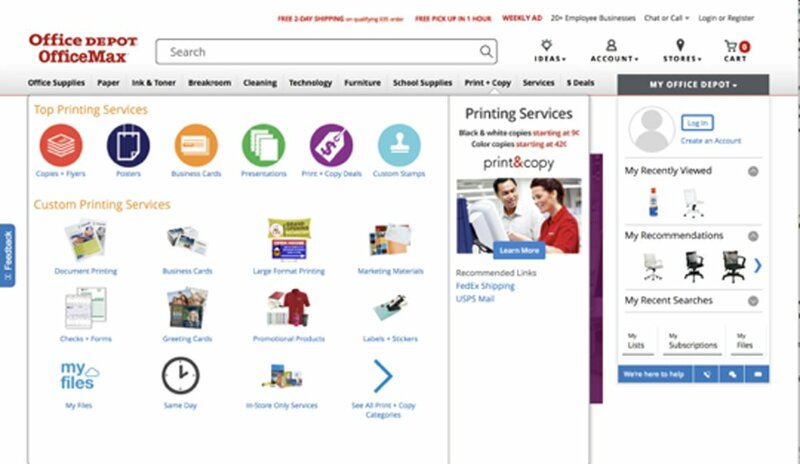 Be sure to check out Office Depot’s Workonomy™ Print and Copy services for all of your printing needs!